Even though X-Men: Apocalypse met with less-than-ideal returns, Fox's corner of the Marvel universe looks to regroup into its next phase. Before the X-Men head to space to face their next challenge, one of its biggest draws still has one more outing. Currently filming, Hugh Jackman's (alleged) final entry, Wolverine 3, recently registered several possible names, including Wolverine: Weapon X. Beyond that, James Mangold has managed to keep a tight wrap on the upcoming sequel. X-Men director Bryan Singer recently hinted at a major Weapon X connection, though, something a new behind-the-scenes shot from X-Men: Apocalypse only reinforces. Canadian actor and stuntman Alain Moussi (Warcraft) recently posted a pic on Instagram from the filming of X-Men: Apocalypse (take a look below). As Jackman’s stunt double, the shot shows Moussi posed with Jackman, both wearing Weapon X regalia. The candid photo was clearly taken while they filmed his Apocalypse cameo (inspired by the Barry Windsor-Smith Weapon X story arc in Marvel Comics Presents). The cameo scene, much like Singer’s Weapon X tease, proved somewhat confusing, though. What little the producers have revealed thus far purports that it takes place in the future, although likely along the same revamped timeline. Of course, Singer is much closer to the production than most of those fanning the rumor flames (especially since misdirection never occurs in Hollywood). With recent set photos showing an elderly Professor X (Patrick Stewart) wheeled around by a weathered James Howlett, figuring out exactly where Jackman’s third solo shot will take place is a bit like unwrapping an onion. At the same time, Logan is renowned for his drastically minimized aging process. 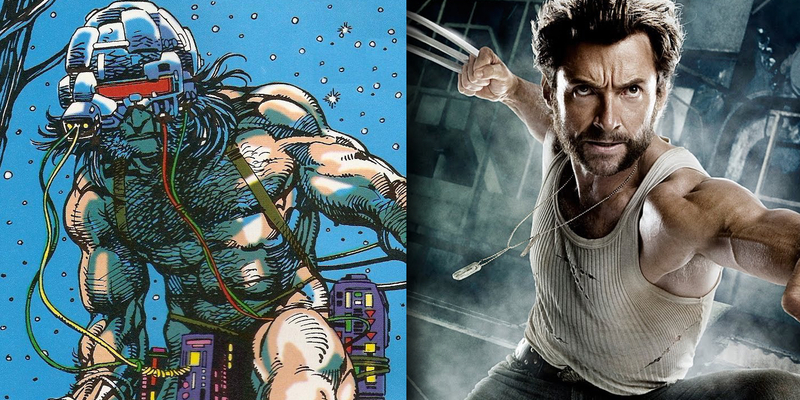 It’s possible Wolverine 3 will merely reference the Weapon X program during a flashback. Set photos also show a young girl, rumored to be a child-version of X-23, which also connects back to the Alkali facility sequence from X-Men: Apocalypse. For the time being, the story sounds like a mishmash of the Old Man Logan plot, with possible references to the Death of Wolverine thread and other comic book elements. Whether true or not, the regular reports about a possible Reavers appearance and a role for Mister Sinister (perhaps at least pulling a few genetic strings) will keep the Wolverine 3 rumor mill churning at maximum output for a good long while.